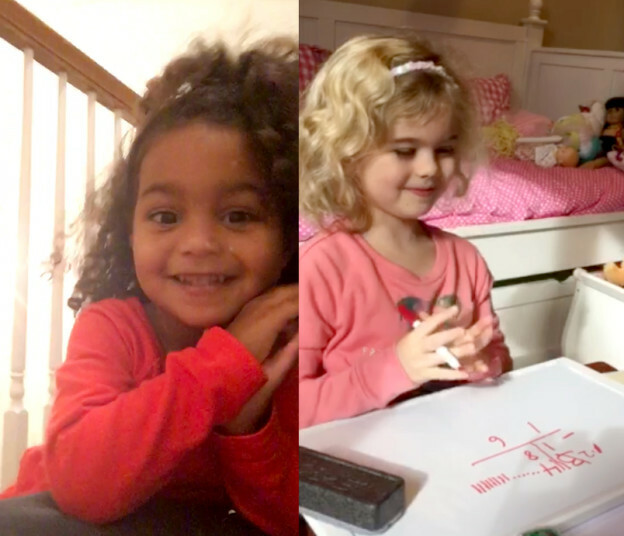 Here are two videos of some extremely smart, happy, and very cute little girls. Two-year-old Mila is demonstrating her super auditory digit span of 5; and Avery (aka Shirley Temple), who just turned six, is showing us how much fun math can be. Mila’s maturity and language, which are a reflection of her super processing skills, would blow your socks off! She’s really smart, really happy, and great fun. With her high processing, her world is much larger and richer than that of her peers, and the quality and quantity of information her brain processes every day is going to continue to keep moving her higher and higher. Just to put things in perspective, a lot of 5-year-olds can’t process a 5! Miss Personality, Avery just gushes exuberance. To put her video in perspective, a note from Avery’s mom accompanied her video: “I just showed Avery the concept of borrowing (using Modular Math) and this is her second problem.“ The significance of this isn’t really that she has grasped borrowing, it’s that she loves it! How many parents can say their kids LOVE math? Step one in teaching any child anything—teach them to love it! Every day I deal with children and parents struggling with school—kids who are learning to hate learning and often themselves in the process. Learning can and needs to be fun. The foundation of development is neuroplasticity. Specific input delivered with the appropriate frequency, intensity, and duration is the key to success. Guess what? If we can target our input, teach specifically to the child, create great processing skills, and make it fun, we produce great outcomes. A big part of what excites me about these exceptional little ones is the fact that they are demonstrating the power of neuroplasticity and potential—the power and potential that lies in every child’s brain. They are a reflection of the opportunities they are receiving. Our children with developmental issues are often viewed as their labels with all the accompanying baggage. The baggage is being judged by the historical limitations of others with the same label that have preceded them over the past decades. The perception of limitations results in limited opportunities, and limited opportunities result in self-fulfilling prophecies. Every child, regardless of their issues and labels, needs to be perceived as a totally unique individual with unlimited potential and needs to be provided with real opportunities and the reality is the more issues they have, the more they need. We love seeing children exceed others’ expectations. The power and potential of the human brain is literally unfathomable. This entry was posted in Child Development, Human Potential, NACD Families and tagged modular math, potential, processing, sequential processing on January 29, 2016 by Bob Doman.